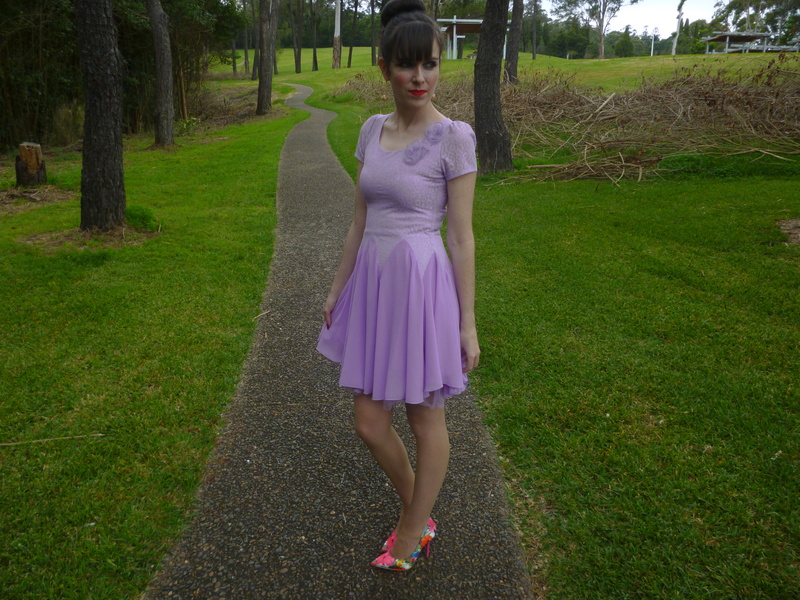 It’s time again to show you my latest dress from OASAP. 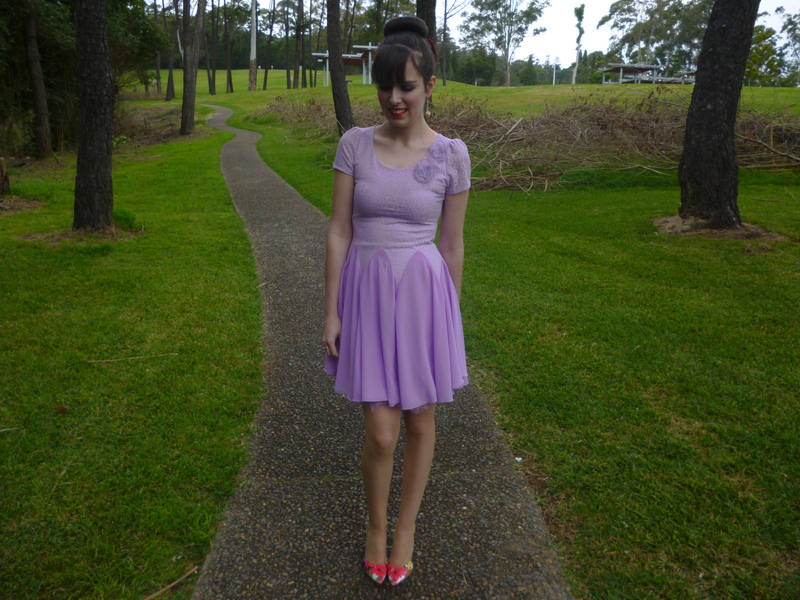 It’s the Lush Lace Short Sleve Chiffon Dress in lavender. As soon as I saw this dress on the website I knew it would be exactly what I’d spend my credit on. 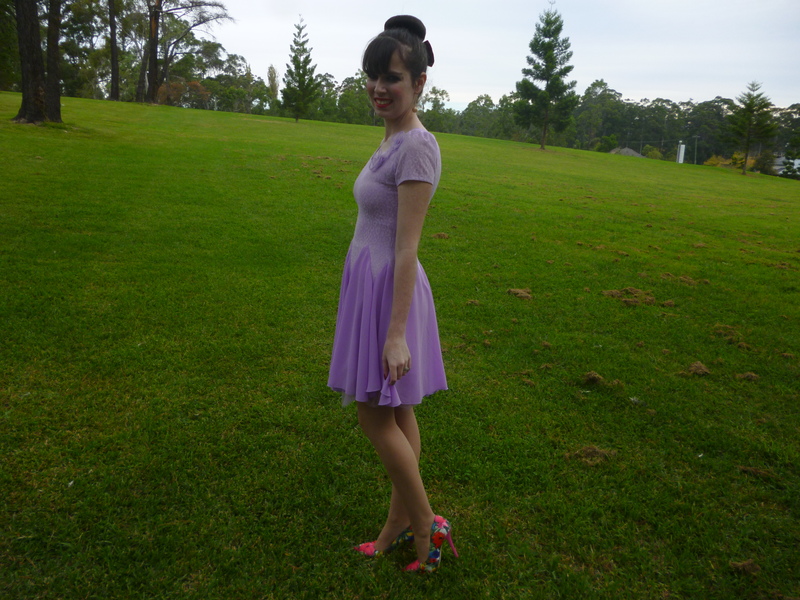 I was drawn to the pretty lilac colour. 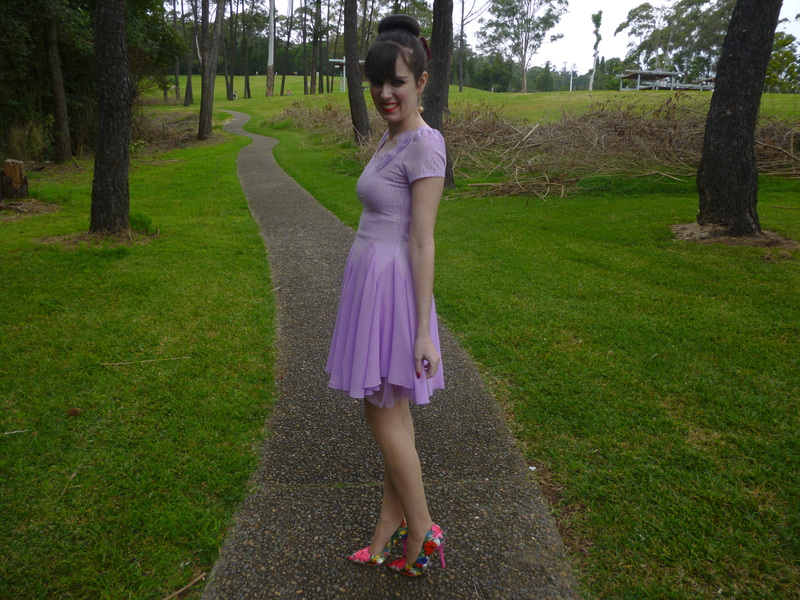 I don’t have much purple in my wardrobe, despite it being one of my favourite colours, so it is a lovely addition. 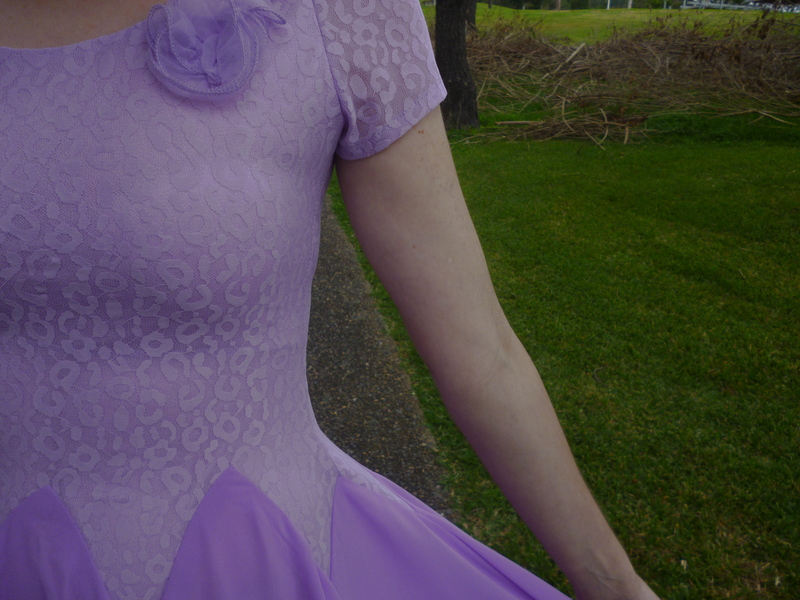 Lilac dresses are so girly and remind me of princesses and fairytales. I adore the fit and structure of the dress which is a very important element. I love the subtle pattern, the flower rosette, the flowy skirt and the tulle underskirt. I’m very happy with this dress; it’s definitely one of my favourites from OASAP and one of the best dresses I received from online. Now I want to get it in white or peach too. I often do this when I find an OASAP treasure, most notably the Retro Embroidered Pearl Diamond Lattice like Handbag which I have in both red and white. I wore this dress both on the weekend and also to work yesterday and I received so many compliments; it’s definitely one of my more popular looks. I find it really interesting which looks of mine are popular; it’s so hard to predict. Sometimes I like the excessively bright looks when often it’s a more simple elegant dress that others compliment me on the most. This entry was posted in Guess, Outfits. Bookmark the permalink. 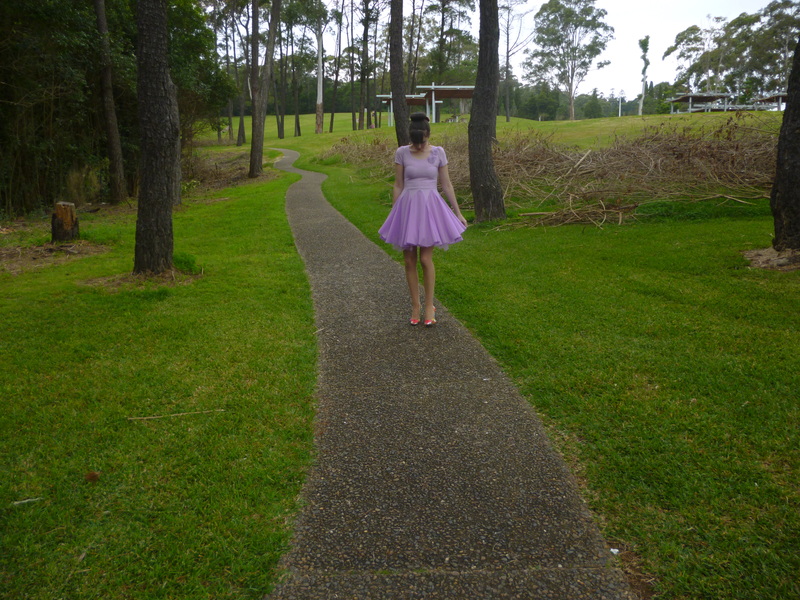 Love this dress so much. The colour is so perfect. I can't believe that this dress is von OASAP because it looks really lovely and the colour and the cut is so flattering for you <3 You look simply wonderful. Hope you enjoyed your weekend so far! Absolutely gorgeous, love this dress. Such a gorgeous dress! It's the perfect spring color! Love those heels too! 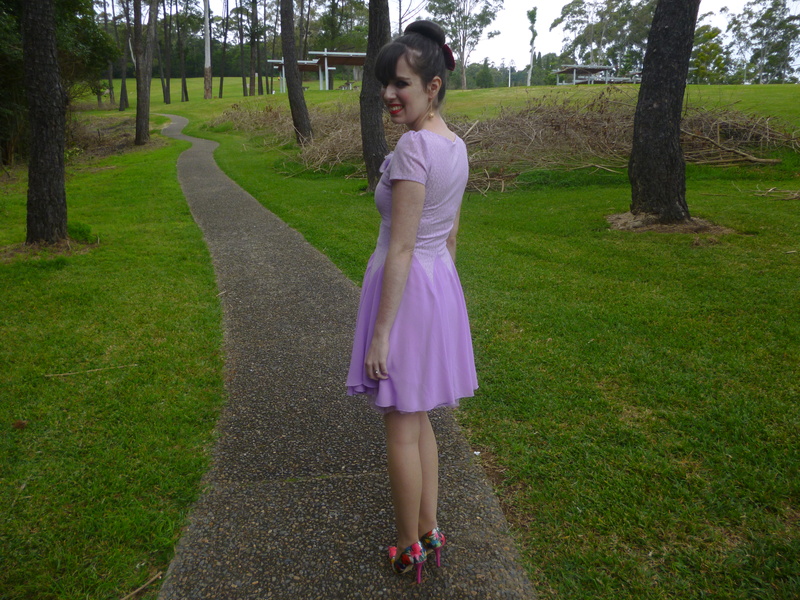 I love the shoes and dress. You look amazing.